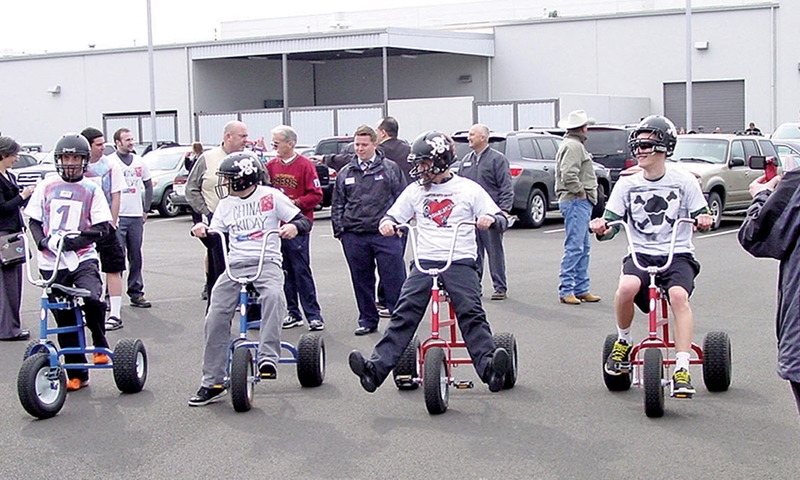 This year's Best Dealerships To Work For were invited to enter a contest for photos showing what these dealerships do as part of their community involvement. 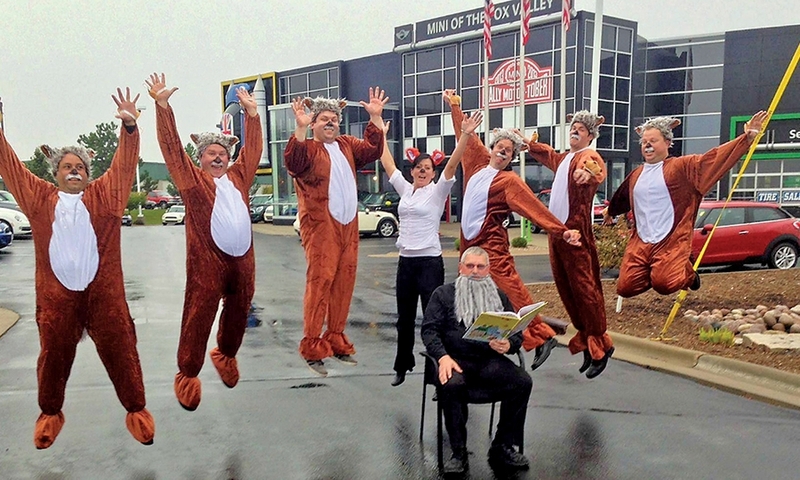 Bergstrom Mini of the Fox Valley employees leaped at the chance to compete in last year's companywide Halloween costume contest. 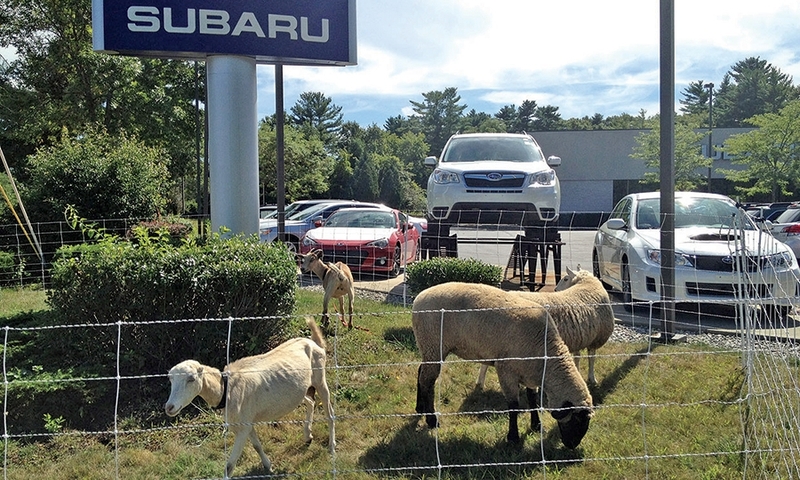 Planet Subaru gives back to the environment. 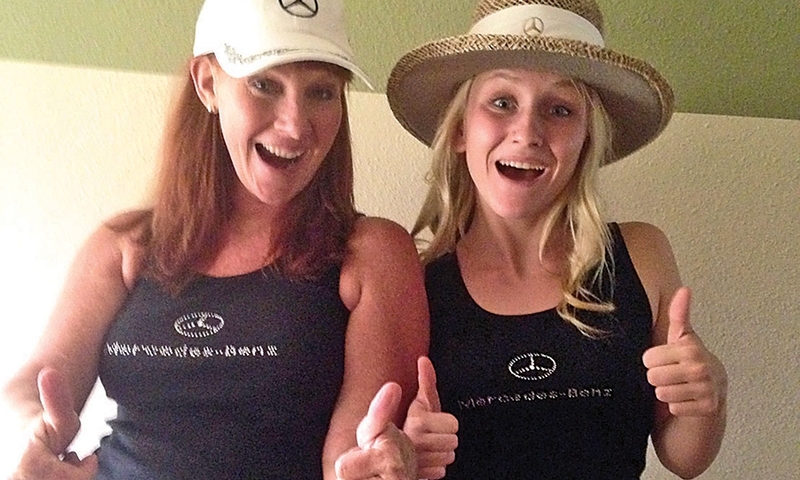 Schumacher European supports a local breast-cancer charity: Don't be a chump, check for a lump. 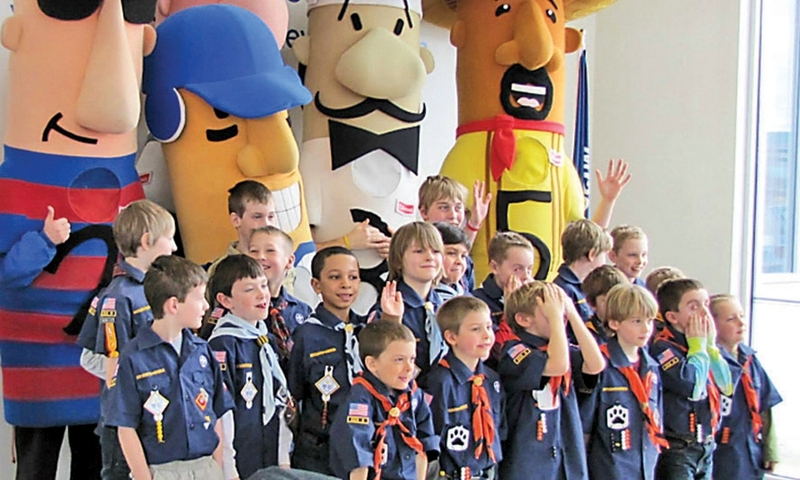 The Milwaukee Brewers' racing sausages add flavor to a Cub Scout Pinewood Derby hosted by Bergstrom Chevrolet-Buick-GMC-Cadillac of Oshkosh. 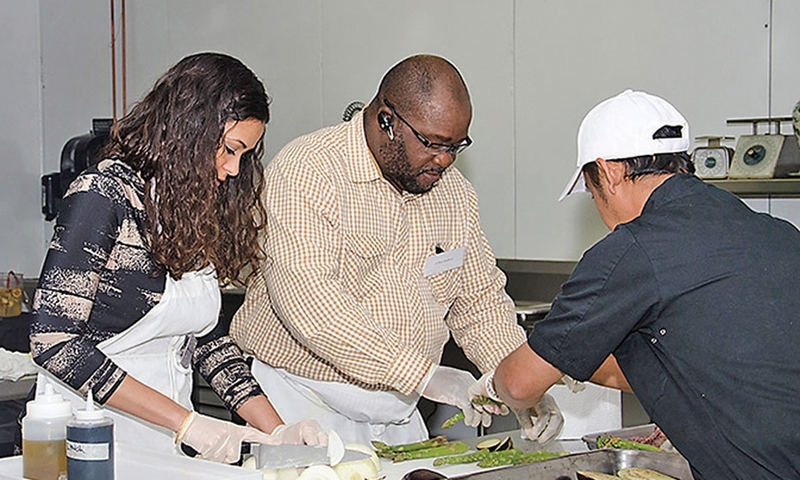 Land Rover Fort Lauderdale employees work with PACE Center for Girls programs. 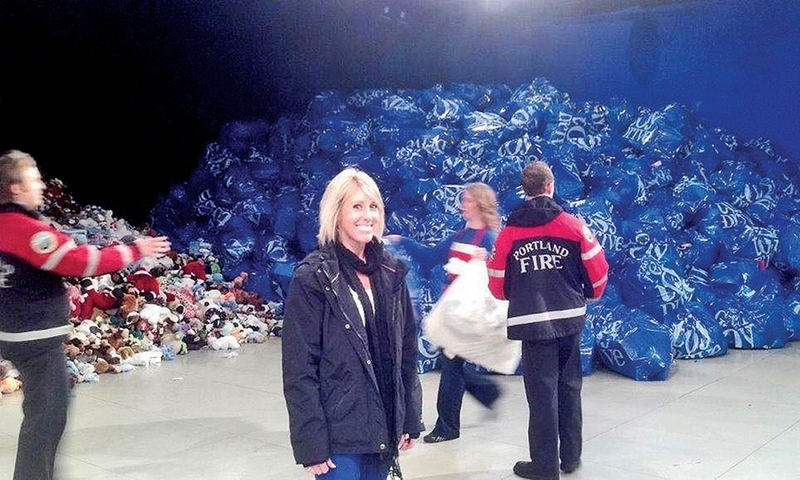 Niello Co. employees transfer food items that the dealerships collected onto trucks for delivery to four food banks in the Sacramento, Calif., area. 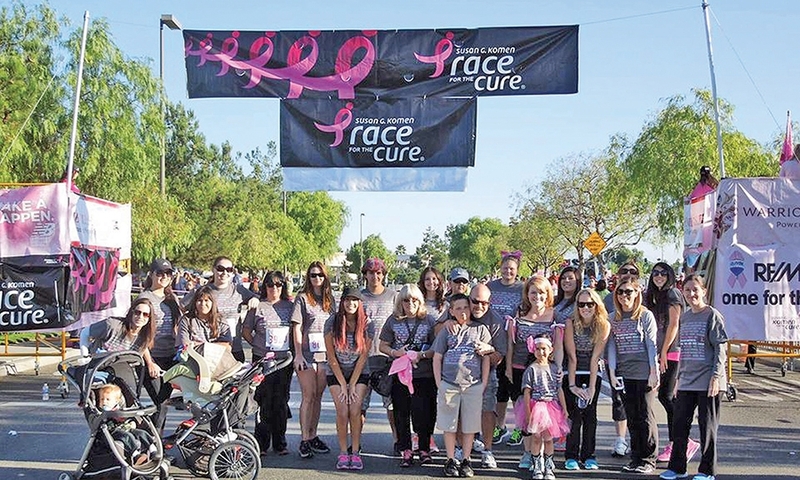 DCH Honda of Temecula employees joined this Susan G. Komen Race for the Cure. 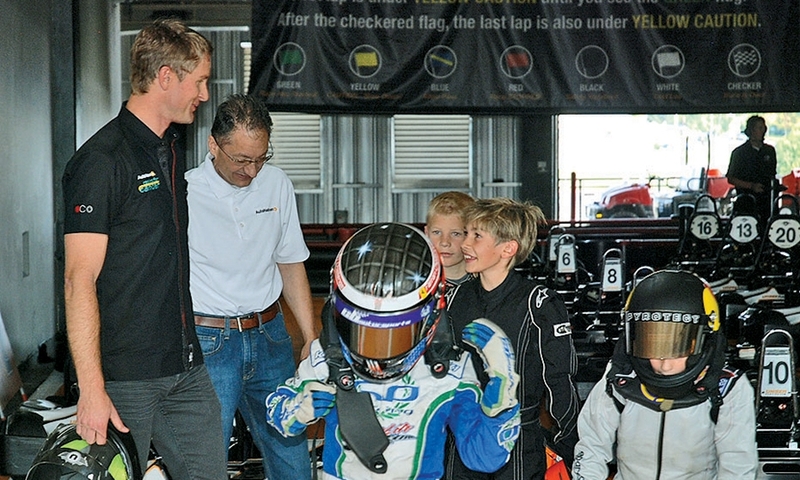 AutoNation stores in Texas, including seven on this year's list, held a "Racing against Ryan" fundraiser with Indy 500 champion Ryan Hunter-Reay for Brent's Place, which provides housing for kids fighting cancer. 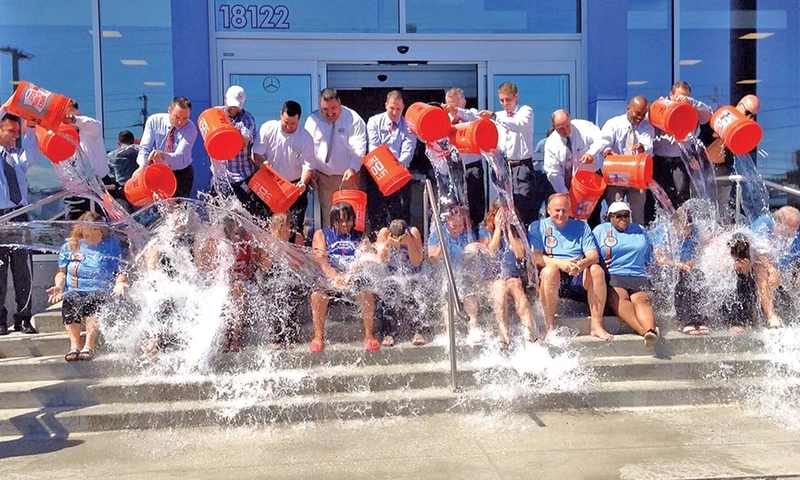 Dealership staffers from Holman Infiniti and office managers from several Penske Automotive stores (pictured), including Honda of Mentor, Audi Mentor and Toyota of Bedford, took the ALS ice-bucket challenge. Holman Infiniti's ALS ice-bucket challenge. The submissions were judged by Automotive News on artistic merit and their ability to grab and engage the viewer, not how well they promoted the dealership or the charity. Here are the winners and some of the runners-up.